But attention is particularly focused on fusion right now because of an unexpected breakthrough at the National Ignition Facility, and another at the Massachusetts Institute of Technology, both in the United States. The aim of the NIF is to create fusion reactions by focusing almost 200 laser beams on a precise point. Although the facility just began testing, it just created waves by succeeding in creating a stable plasma and setting a record for the energy content of its laser beams. And at MIT, the Levitated Dipole Experiment unexpectedly showed that it can concentrate turbulent plasma in its reaction chamber. Besides the NIF, there are fusion projects going on around the world. All have two things in common: they're still at an experimental stage, and they've all been derided by critics at one point or another. 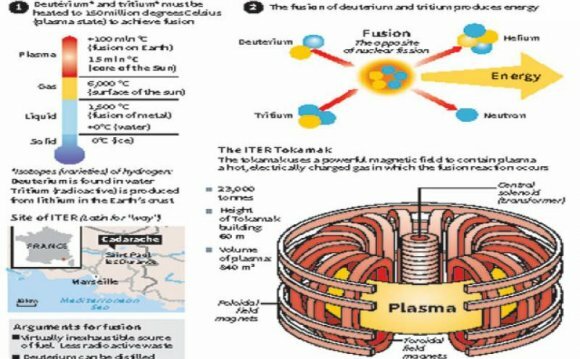 But by looking at the pedigree, breakthroughs and financial support of projects, I've come up with a set of TKTK projects that, like the NIF, could someday give the world a cheap new energy source.